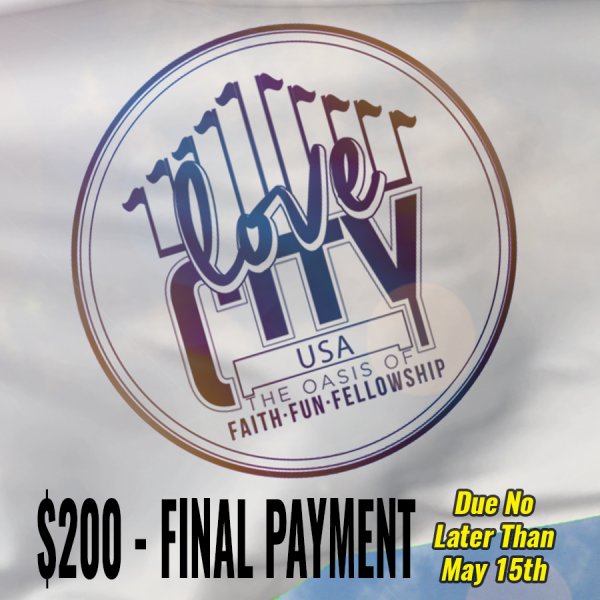 This is the second Love City Payment. Please only choose this product to purchase along with or after first purchasing the Love City Registration. 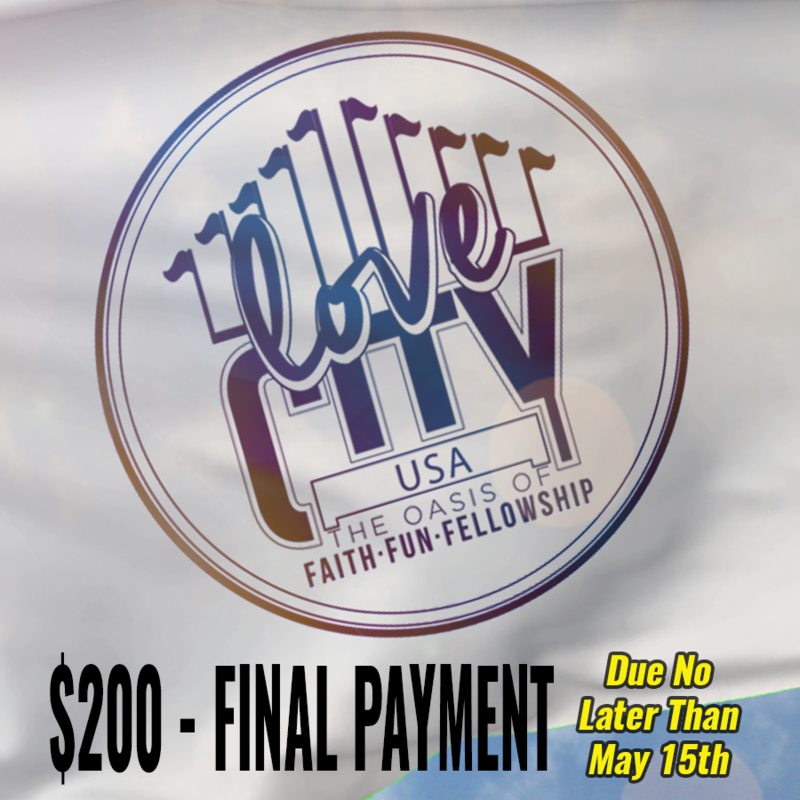 This is the final $200 payment and is due no later than May 15, 2019. First and Last Name of Teen * Please type your Teen's first and last name here. Thank you!